That morning while eating muffins we were talking about his first day of school. He told me he was excited, but nervous about making new friends at his new school. It broke my heart just a little to hear him say that. He had some pretty awesome little friends in Utah and he asks when we are going back often. Talk about breakin’ my heart some more. But I got to tell him that mommy gets nervous about making new friends out here too. That I miss my friends back in Utah, and that some days, I just want to move back…..to where everything felt comfortable. Moving is hard. Starting over is hard. We’ve been in San Diego for three months and it’s still hard some days, even for this 30 year old grown adult. It’s definitely been a transition for all of us, we all just miss the comfort. But it’s little chats like these over warm muffins for breakfast, that make us both feel a little more at home. More comfortable. Funny how food and conversation can do that…even with a four year old. 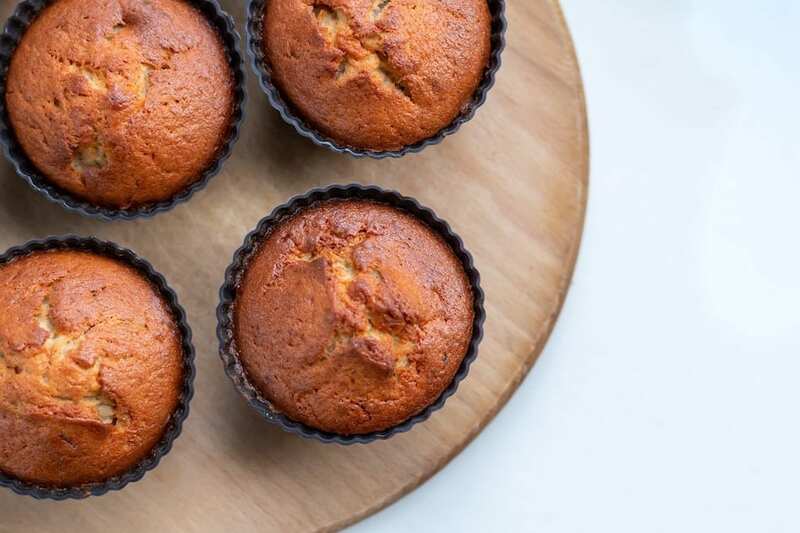 These muffins are just that, comfort. I was pleasantly surprised at how much I loved the combination of pumpkin and banana together. You get a hint of both flavors and let’s not forget that brown butter, that adds just a hint of nutty flavor. And then they’re sweetened up with that crumbly streusel topping. You might just want to eat these all day long too. Melt butter over medium heat in small sauce pan. Whisk continuously until brown flecks start to appear and butter starts to smell nutty. Remove from heat and set aside. Whisk dry ingredients together in a mixing bowl. Set aside. Once butter has cooled to room temp, beat butter, egg and sugar together in a bowl. Whisk in milk, pumpkin and mashed banana. Lastly whisk in vanilla. Gently stir in dry ingredients. Make the streusel: whisk flour, brown sugar and cinnamon together. Cut in cold butter until crumbly. Pour the muffin batter into the prepared muffin tin filling 3/4 full. Sprinkle streusel topping over the tops. Bake for 25-30 minutes or until a toothpick inserted comes out clean. Let cool. 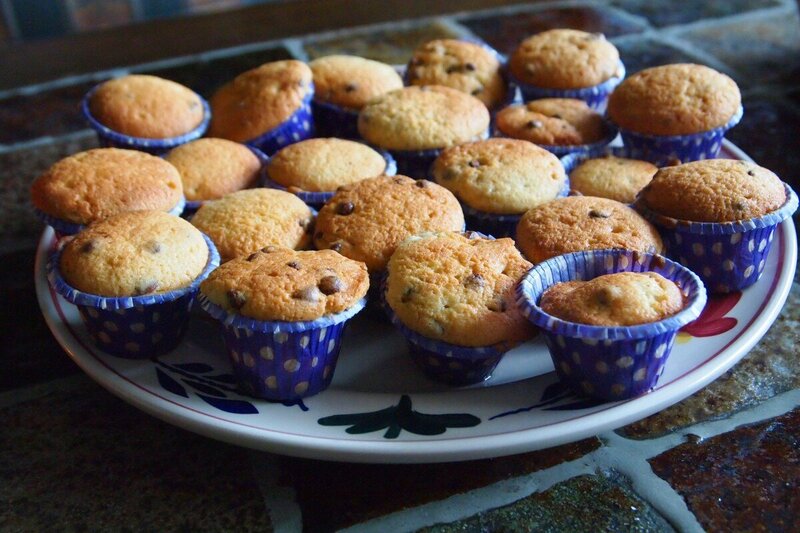 Mmm such a yummy looking muffin! Great flavour! My daughter will LOVE making these!!! As for your move, I’m a native San Diegan and I hope you come to love the city. It is a little difficult to make new friends as everyone is so busy and California people are nothing like Utah people .. we’re just are not as friendly as a whole. I’m sure you’ll meet some great moms thru your son’s school though! Aww thanks Marcy, I do really like it here, I know it just takes time to feel at home somewhere and really make good friends! Well it says mix all dry ingredients…shld say except sugar…reserve to mix with the butter. Hi, sorry the wording confused you. I thought stating to beat the butter, sugar, and egg together first wouldn’t mean to include the sugar in with the dry ingredients. I’ll fix it! i made these today and they were delish!! I was wondering if you have tried freezing them? I haven’t tried freezing them, you probably could if you didn’t add the streusel?